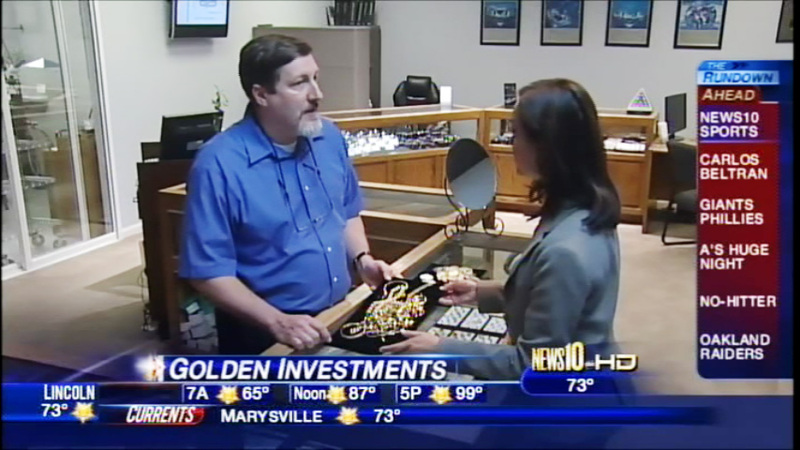 A few days ago, with the debt ceiling deadline looming and gold reaching record highs, a news crew from KXTV channel 10 paid us a visit to get an inside look at precious metals (gold, silver, etc.) as an investment opportunity. Check out the story right here, or you can watch it on the News 10 website. Since that story aired, gold has shattered it’s previous record highs and reached over $1,780 per ounce! The current gold market is very volatile, showing large changes in price throughout the course of a single day. Take a look at today’s gold chart below to get an idea of just how much fluctuation we are seeing. If you want to catch the market at its height, or if you’re just curious how much your jewelry is worth at these never-before-seen gold prices, stop by Arden Jewelers. Our professional jewelry buyers will examine your jewelry and give you a no pressure assessment of its value at the current gold prices.